A boat shaped bench and table! These two pieces are so functional because they have storage spaces too. The table has a hidden opening which leads to a space ideal for magazine, books and other utilities. 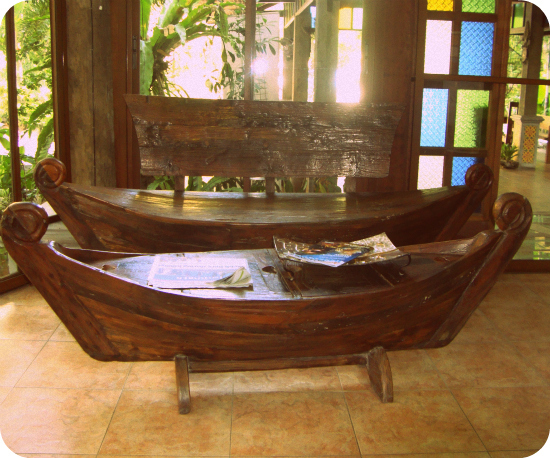 This paired piece belongs to the reception area of Club Balai Isabel, one of the best resorts in the Philippines. The wood and the design are very Filipino. In the Philippines, we call this giant shell as kabibe. 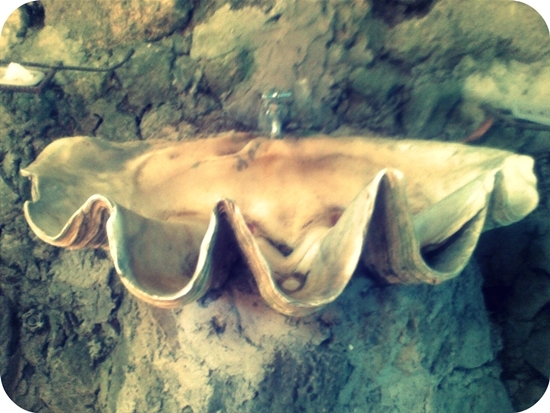 The giant shell was turned to a sink, a unique and great idea. This piece can be seen in Caleruega,one of my favorite places in the Philippines. I want to own something like this too. P.S. The Philippines has been stricken by typhoon Mina over the past days. Thank God Manila was not badly affected. Rains and heavy winds were all we experienced here. To my fellow bloggers in the USA who are affected by hurricane Irene, I hope and pray that you are all in a safe condition. Kabibe? You and me BOTH! I love that sink! Some really unique pieces there. I enjoyed seeing them. That shell is so cool! 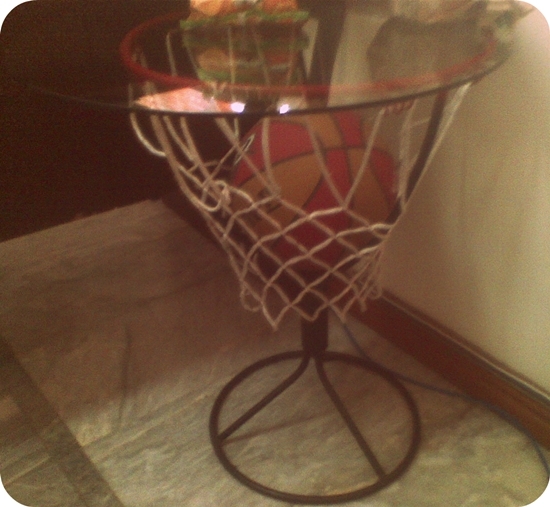 Love the basketball hoop table. Great for my grandies! I love the boat table. Have a good week Diane! You know I love a good repurposing project. These are fabulous! That shell is so awesome and what a great little table made from the basketball hoop. Storage and a bench? Love it! Thanks for cleaning out your hard drive and sharing these. I'm glad to hear the typhoon didn't cause widespread damage there. Stay safe. Diane, what cute things for the home! Mr. Art @ Home would love the boat tables. How *cute* This is a great post for Mod Mix Monday! Wow, what is with these storms. I hope you are safe from Typhoon Mina. nice post and I love the shell sink, very pretty and a great idea. Have a great week and stay safe. Now these are some really unique pieces! That clamshell sink is awesome! Wow I love the shell and the boat! Thanks for your visit and comment. I'm delighted to follow you & hope you will do the same! That sink is over the top WOW how fun would that be to have ? What great pictures Diane. Thanks for showing, and thanks for visiting me.